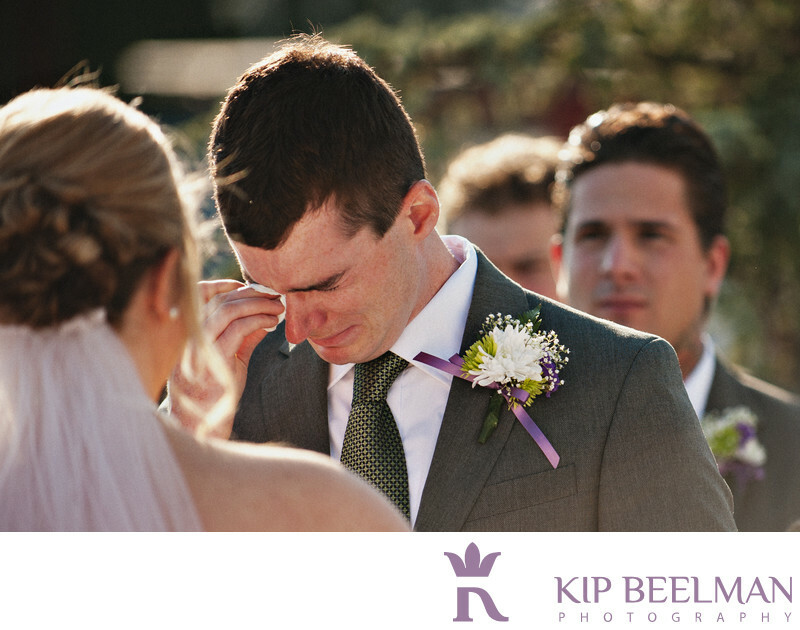 As a wedding photographer, I have been the fortunate witness to all types of wedding ceremonies and opportunities for memorable wedding photography – I have enjoyed ceremonies where everyone laughs the entire time as well as weddings where tears flow freely. This emotional ceremony in Seattle, with a touching shot of the groom’s deep feelings in the moment, took place on a ferry on Lake Union with the skyline of Seattle in the distance. A retired Washington state ferry, the MV Skansonia is now permanently docked on the north shore of Lake Union, providing a unique spot for both wedding ceremonies and wedding photography as well as fantastic views of the water, the city and the Seattle Space Needle. The ferry, which was originally built in 1929 and retired in 1971 before a rebirth and rebuild in 2009, now hosts private events and weddings, offering ambiance, a memorable place for an event and that touch of timeless elegance. It also delivers a historic piece of the Pacific Northwest that adds a genuine touch for weddings and receptions. In addition to these ceremony photos, we also enjoyed taking portraits at nearby Gasworks Park, and celebrating all of the touching emotion of the day. While it is always wonderful to see the bride’s expression as she walks down the aisle, I equally love watching the groom’s face as he sees his bride-to-be approach. This beautiful portrait shows a side we don’t always get to see, and I love those close-up, real moments that weddings can offer. Location: 205 NE Northlake Way, Seattle, WA 98105. Keywords: Lake Wedding (9), Seattle (111), Skansonia (3).